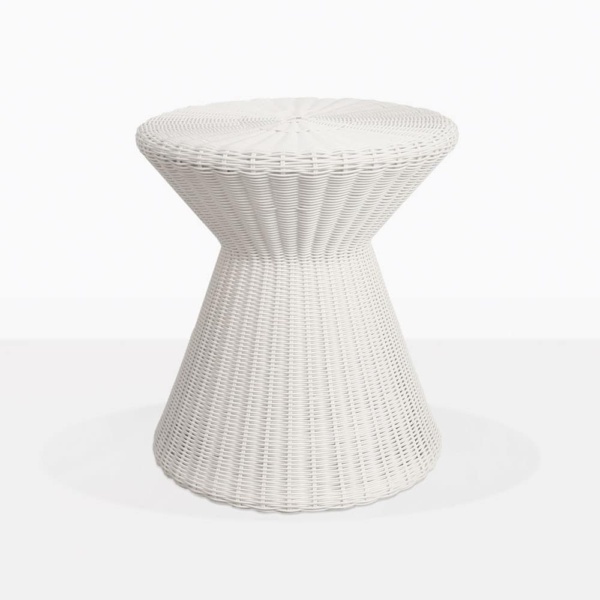 Subtle, elegant, and functional perfectly describe the Jak Wicker Side Table in a perfect white wicker weave. The soft white of the weave, plus the unique shape allows it to go into a traditional or more contemporary setting. It has a hidden powder coated frame that is durable and makes it lightweight and very easy to move around your space wherever it is needed. 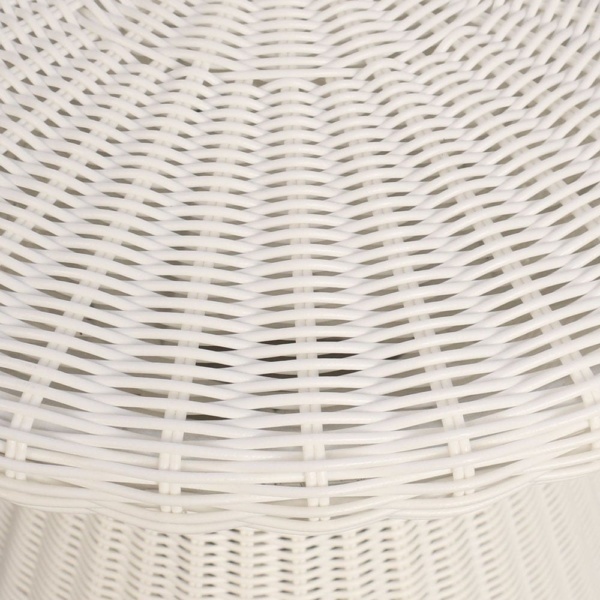 Set it between two club chairs, next to your sun lounger, or next to your teak daybed. It is the perfect partner for your outdoor patio furniture. It is the perfect size for a small plant, cup of tea and a book, or plate of appetizers. Design Warehouse has over 70 styles of accent tables! There are so many choices, and these tables are the perfect finishing touch for your lounge and entertaining area. Visit our showroom in Parnell today!